For today’s deals roundup, we’ve put together a bunch of in-ear, on-ear and even over the ear headphones. Today’s deals roundup contains a wide range of headphones that are available for less than Rs 1000 on Paytm Mall. A majority of the products in the list are from well-known manufacturers such as JBL, Sony, boAt and more. The boAt BassHeads 225 In-Ear headphone comes with a tangle-free flat cable that shouldn't tangle up in knots. It comes with a three-button in-line remote, which allows you to adjust volume and manage calls easily. The earphone also has an inbuilt noise cancellation microphone that filters out noise, making it easier for anyone on the other end of a call to hear your voice. You can purchase this device here. The JBL T110 In-Ear headphone comes with a tangle-free flat cable and is available in six different colors. The earphones also have an inbuilt microphone and remote that lets you take calls and manage audio tracks. You can purchase this device here. The Audio Technica ATH CLR100iS features an in-line microphone and remote that lets you answer calls, manage audio and video playback. The earphone box includes three sizes of ear tips -- small, medium, and large. You can purchase this device here. The Sony MDR-EX150 is one of the most affordable in-ear headphones from the company. The headphone is available in a wide range of colors, and you can choose one that best fits your style. It has a 9mm dynamic driver and weighs 3gm without a cord. You can purchase this device here. The Philips SHL5000 is an On-Ear Headphone with 32mm drivers. It has a 1.2m long cable that gives users plenty of slack when connected to a device. When not in use, the headphones can also be folded away for easy storage. You can purchase the device here. The Sony MDR-ZX110A On-Ear Headset comes with a 32mm neodymium dynamic driver and has an impedance of 24ohms. It features an in-line microphone and remote that lets you manage audio tracks and calls easily. The headphones swivel design enables a user to fold the earcups for easy storage and portability. You can purchase this device here. The boAt BassHeads 900 On-Ear Headphone weighs less than 150g and features a tangle-free flat cable and 3.5mm audio jack. It has an in-line remote to manage calls and audio tracks. The headphone also comes with swivel design earcups for easy storage. You can purchase this device here. 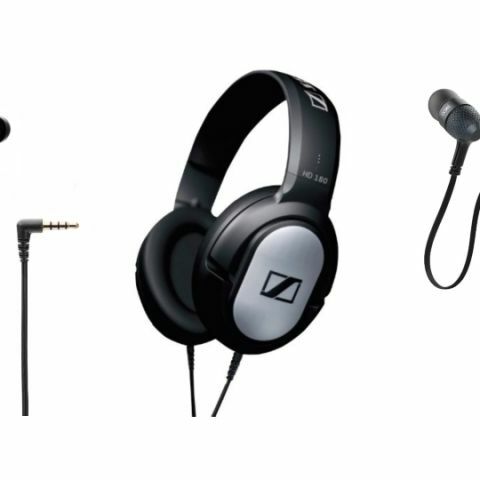 If you prefer over the ear headphones then, the Sennheiser HD 180 might be the right device for you at this budget. The headphone is compatible with a wide range of portable devices and has an impedance of 24ohms. You can purchase this device here.